Step out in style with this gorgeous frock from the house of Doreme. Adorable print and colour combination of the frock will lend a stylish look to your little girl. It also has a cute bow applique. 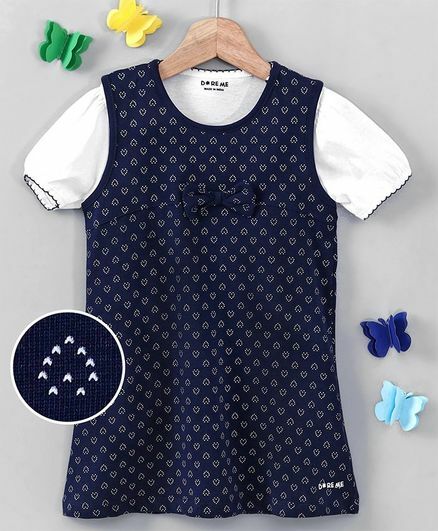 This pullover style frock will keep your kid trendy all day long.